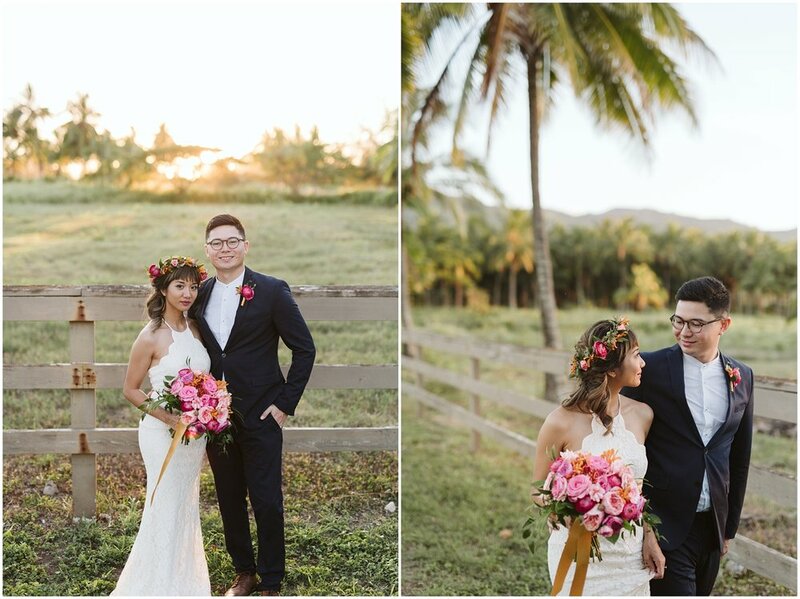 It's actually my dream come true to have these Dillingham Ranch wedding inspiration photos featured on Wedding Chicks today! 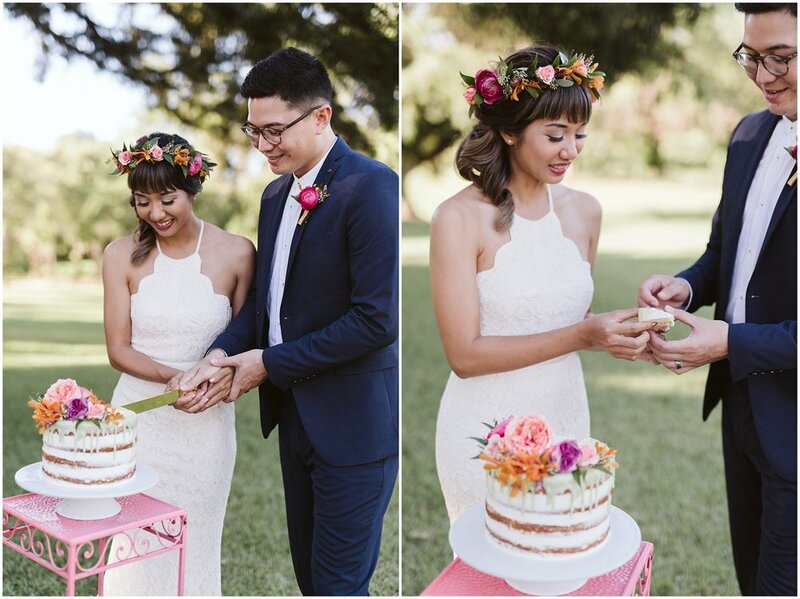 I had a goal to create an inspiring wedding shoot to be published one day. 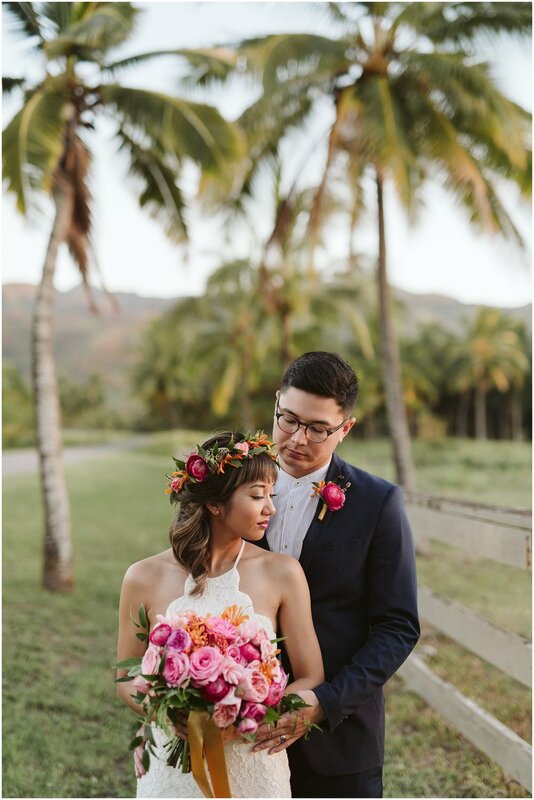 So I reached out to Louise from Love Letter Weddings, and together we came up with this Tropical Wedding Inspiration at Dillingham Ranch. 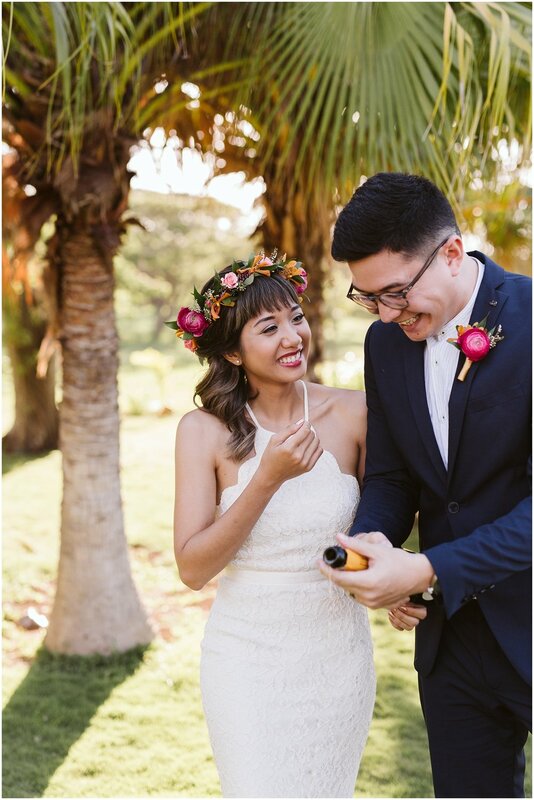 We wanted to have a Hawaii wedding without being overly cheesy about it. 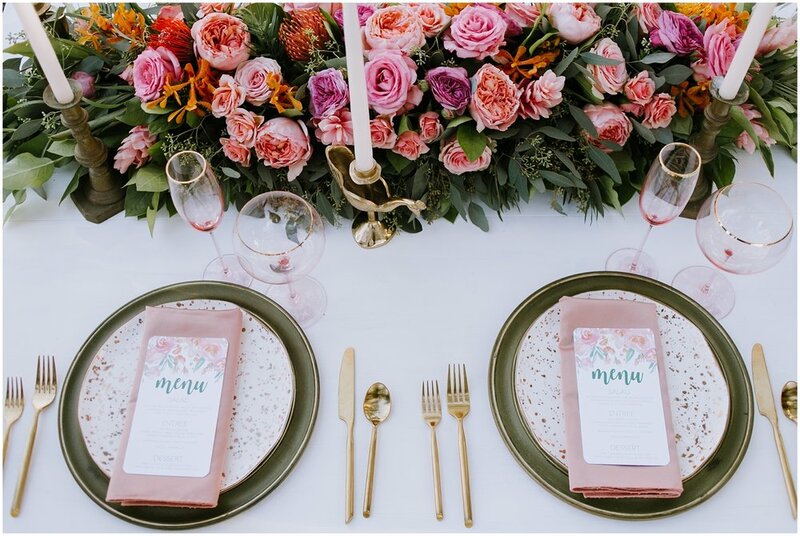 Using tropical flowers like ginger and a beautiful color palatte in combination with being at Dillingham Ranch in Waialua gives us those tropical fun vibes! Also strolling through one of Dillingham Ranches roads at the end with all those palm trees helps a lot haha. But how can you NOT love those balloons!? I really wanted to push ourselves with the ceremony arch and thankfully Balloons N Beyond Hawaii was more than able to accomodate! 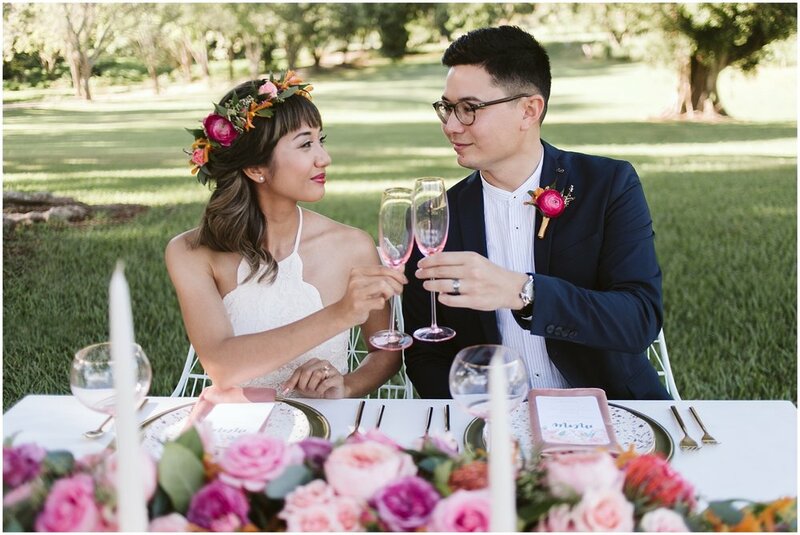 This tree in Dillingham Ranch's lawn with the balloons and flowers from Love Letter Weddings Floral is the perfect combination to bring these inspriation photos to life! To say would be an understatement, I'm overwhlemed with joy! Working with amazing vendors and being published is further validation as an artist and a professional. Scroll to the end for all the AMAZING talented vendors who made this happen!